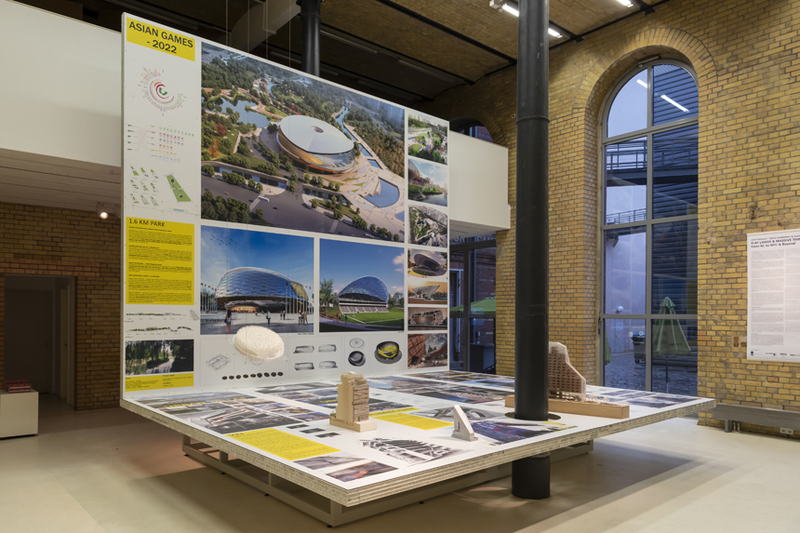 An exhibition of the work of Archi-Tectonics, the firm founded by Dutch-American architect Winka Dubbeldam, is now on view at the Aedes Architecture Forum in Berlin. The show, titled Flat Lands & Massive Things – From NL to NYC & beyond, focuses on six projects completed by Dubbeldam and her partner Justin Korhammer. The projects show the firm’s core work in New York and the Netherlands along with other projects in China. The show draws comparisons between the urban environments of New York and the Netherlands, namely the flatness of both areas and their relationships with intricate coastlines. The show will be up through April 25.